Amongst the dusty records of UC Davis’ KDVS college radio station, Tom Shimura, who currently makes records as Lyrics Born, found too much to love. Sandwiched between gatefold LPs, 12-inch singles, dub versions and white-labels was a reservoir of inspiration that he would draw on for the following decades. That was then. This is now. Since his college days, Bay Area-native Lyrics Born’s raw, authentic talent has been polished to a gleaming beacon of originality in a time when it’s needed most, and it’s release marks a new era of label relations. “The old model is dead, you cant just put it out and expect people to get it”, explains LB, and the statement could easily be applied to his sound or his approach to marketing the finished product. Lyrics Born has gone about the creation of his latest effort, As U Were, in a less-than-conventional manner. One defining characteristic of his sound thus far has been that it can be described as unequivocally fun, and this remains true of As U Were. However, LB does routinely peel back the gregarious exterior to reveal a contemplative everyman, and it’s times like this that his true artistry is apparent. “It’s at the point in my career where I’ve been through a lot, fun and not so fun. I think I’m dealing with a lot issues that are more mature than the last few albums, from abandonment to betrayal to incredible joy”. He voices these sentiments prominently on the lead single “Lies x 3”, a driving, heartfelt plead for truth. While touching on newer subjects, he also reached out to artists that he felt removed himself from his comfort zone. “The new record is more synth-oriented. I made an effort to work with younger artists: Trackademicks, Francis and The Lights, and Sam Sparro, namely”. 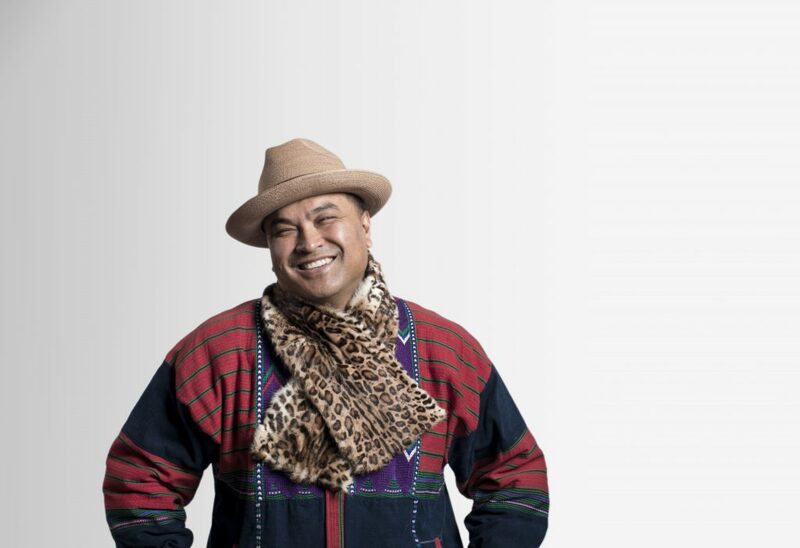 The bay-swagger is in full effect on “Funky Hit Records”, and while the new guests add a new dimension to the sound, Tom Shimura isn’t one to lose sight of his roots. Gift of Gab drops a requisite, thought-provoking verse on the critical “Pills” and the classic Latyrx tag-team makes it look way too easy on “Pushed Aside, Pulled Apart”, one of the album’s standout cuts. As U Were may well be LB’s greatest achievement, but it’s been a long time coming. Lyrics Born had been a music obsessive since his youth, and in 1993 freestyles among a group of UC Davis classmates that occupied the same cramped radio quarters began to find their way onto paper, and suddenly LB had written “Send Them”. It became the first single on the newly minted Solesides Records, a collaborative venture between himself and his accomplices who would later go on to be known internationally as Blackalicious (comprised of MC Gift of Gab and producer Chief Xcel), DJ Shadow and Lateef The Truthspeaker, an East Oakland rapper with whom he found a shared affinity for the rapid-fire lyrical volleys that would define the next step. As Latyrx (a combination of their working names) the two MCs released The Album, in 1997. The LP would go on to become a certified classic, selling 100,000 copies, yet would prove to be the tip of an even larger iceberg. Solesides was re-imagined as Quannum Projects in 1999. As co-owner, LB used Quannum as a conduit through which he delivered his most realized project to date, 2003’s Later That Day. The album yielded his biggest commercial success to date, “Callin’ Out”, which charted nationally and was featured in several major motion pictures, EA Sports games as well as a Diet Coke spot featuring Adrian Brody. The remix LP, Same ! @#$ Different Day was released shortly after, showcasing the talents of his closest associates and as well as new material. Meanwhile, Lyrics Born began to explore different means of engaging listeners. He kept fans abreast of his work by peppering the internet with The Lyrics Born Variety Show mixtape series which he released himself through his website. The mixtapes, as well as ceaseless touring and the creation of his own internet media outlets Lyrics Born TV and LBFM, were elements of a new formula. Since the release of Later That Day, Lyrics Born has averaged over 150 shows a year, and his explosive live energy was captured on the disc Overnite Encore, a compilation of live performances with live musicians from the Australian leg of his 2006 world tour. He followed up in 2008 with Everywhere At Once, a varied studio disk that signaled a departure from the sample-based pieces he had become known for, supplementing the sound with a full band and a healthy dose of synthesizers. Hence, he has arrived at well-rounded sound that is classic and yet futuristic. Tom Shimura hasn’t forgotten how he got here, but he’s never been afraid to look to the future, either.